We met our guide Francis and assistant guide Passat at the hostel, we were running late because we had been scrambling to find the things we needed in town like cash to pay, air tickets to get us to Zanzibar since we wouldn’t have time to go by bus now, 6 water bottles, a sleeping bag. We got a quick briefing and we were off to the base of the mountain. After about two hours of hanging around the ranger station, waiting for paperwork, permits and payments to get worked out (TIA “This Is Africa” meaning it will be done in a languid, jovial, but extremely inefficient manner), we were off! 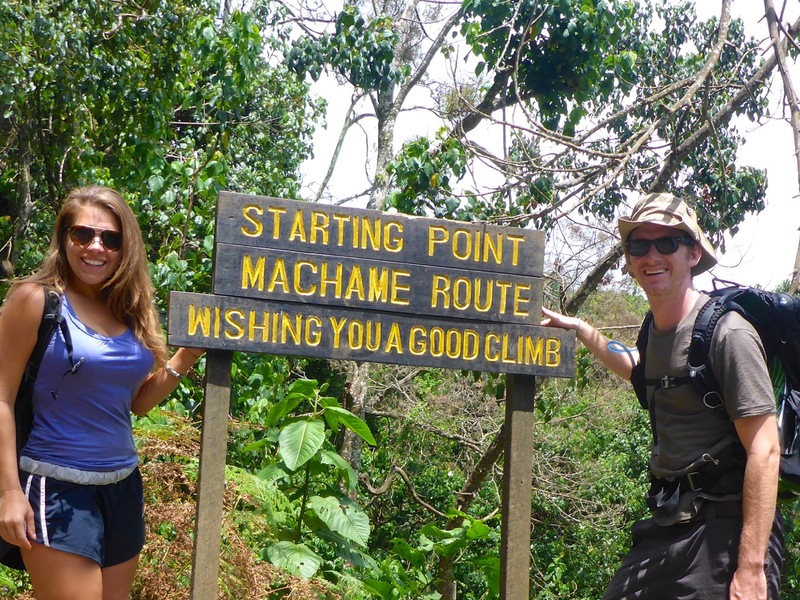 We are taking the Machame Route up the mountain. It’s considered, according to our guides, the 2nd or 3rd most difficult of the seven routes up to the summit. 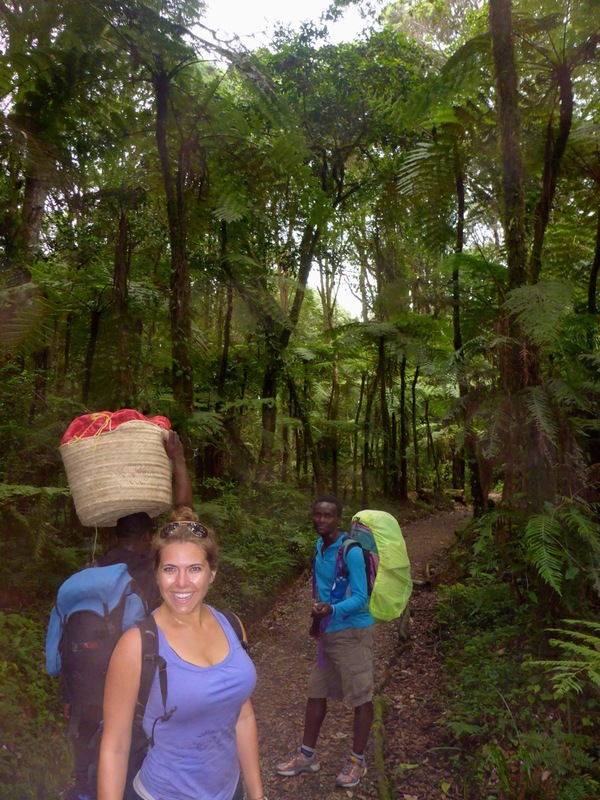 The easiest and most popular is the Marangu Route, nicknamed the Coca-Cola route because so many tourists do it and because there are huts that sell soda at most of the campsites on the way up. We learned as we started hiking that our route is nicknamed the Whiskey Route… we didn’t get a clear answer on why exactly, something about because it’s difficult, something about because it’s for the adventurous… I kinda think maybe because that just what goes with Coke? 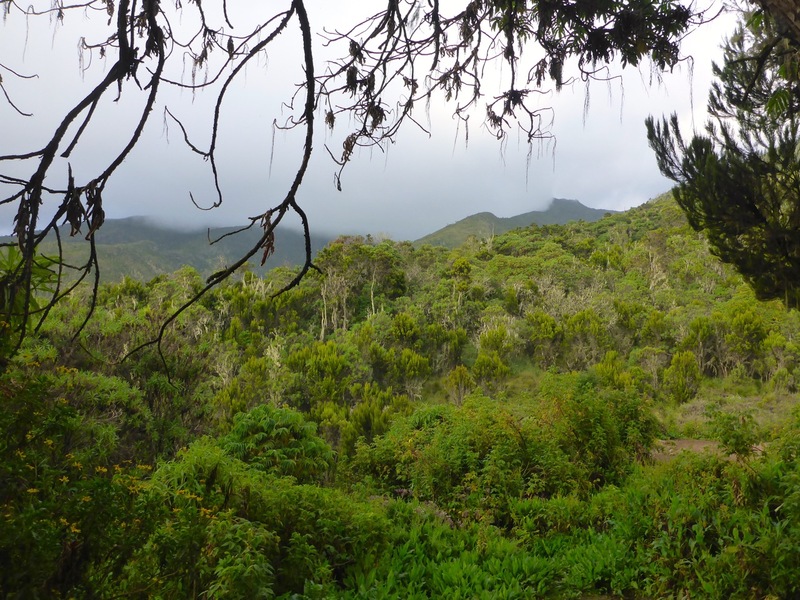 Will Jacobus, I see a branding opportunity here – The Jack Daniels Kilimanjaro Route!! Day 1 was going through rain forest with these huge, beautiful trees… But it was unlike any rainforest we’ve ever seen! 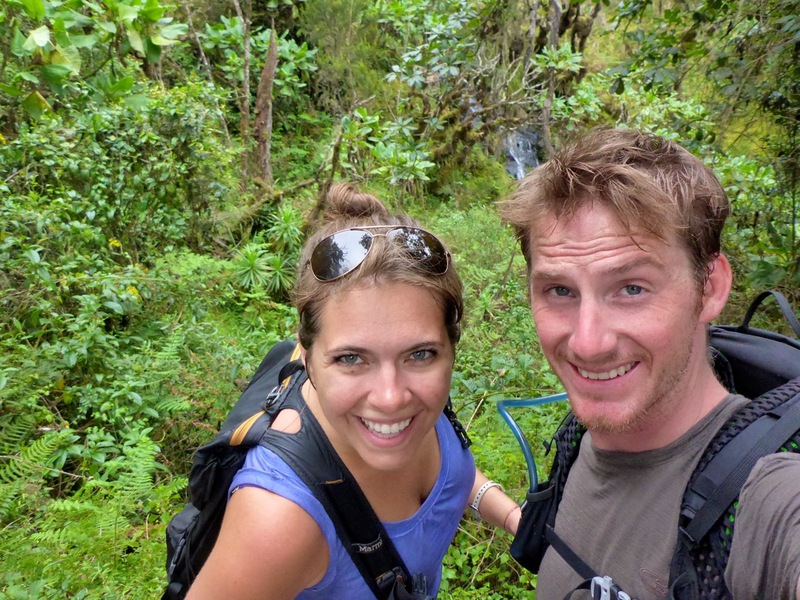 (And at this point we can say we’ve been in a few, from Costa Rica to Thailand to Brazil to Nepal) The rainforest here must be what Dr. Seuss used to inspire his illustrations! There were so many crazy looking plants, from right out of his books. There were giant fern trees, spindly spiky topped trees, stick trees covered in bright bluish-green mosses. It was pretty cool. We hiked with just our assistant guide for this part, and quickly learned how he got his nickname Passat. When he was a porter, he was always the fastest up the mountain, like a car, so they named him Passat. 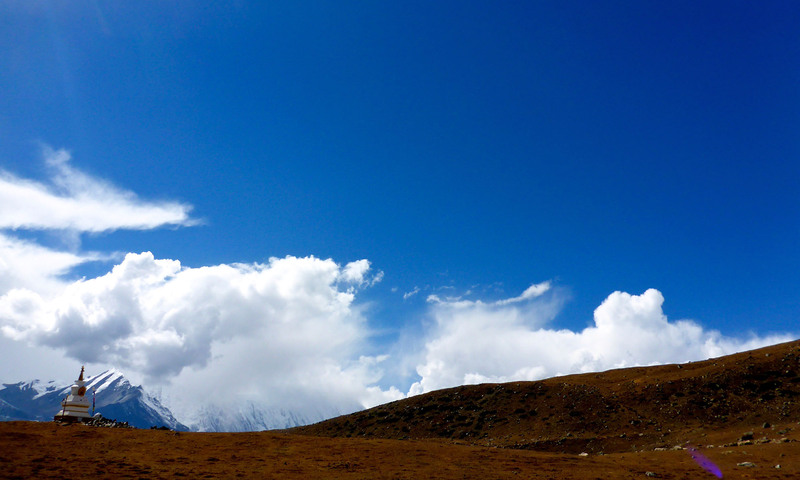 We were passing everyone – all of the tourists and all of the porters! I’m proud to say that we kept pace, but it was a work out. We went from 1,800M to 3,000M. Camp the first night was at 3,000M. 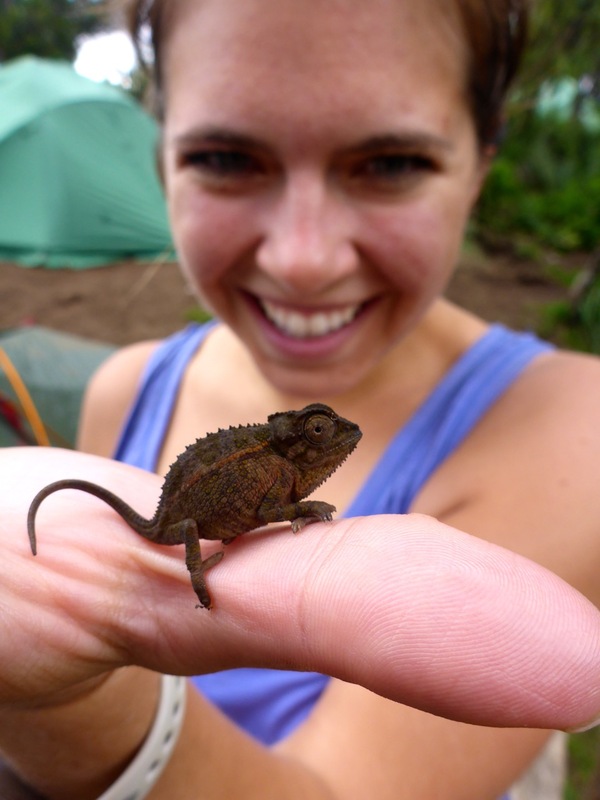 We got great Kili views and to see a chameleon! Our guide found him and brought him to show us… An only in Africa science experiment, our guide told us to watch his color as he moved him from his dark-skinned hand to my light-skinned hand, and of course the chameleon adapted to our skin tones within seconds. I did not sleep too well that night, I was cold most of the night. My knock-off “Narth Foce” sleeping bag from Nepal was not quite up to standard. But I made it through, and Rick says he’ll switch bags with me tomorrow night.